Just like the sophistication perfection of the Bugatti, Parmigiani Fleurier is offering the same high-end customisation service for the most recent creation in this prestigious range, the Bugatti Type 390. The watch flouts watchmaking conventions with its horizontal cylindrical movement that imitates the structure of a car engine. 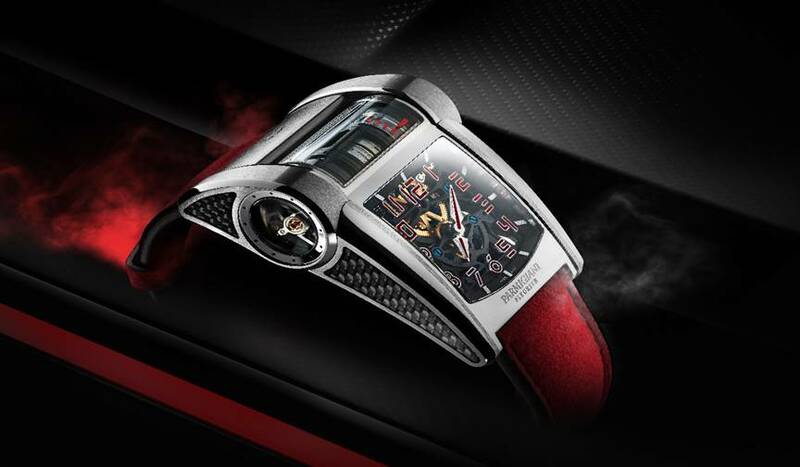 The watch mechanism cannot be customised as it ensures the performance and reliability of the Bugatti Type 390. However, the watch’s exterior and outer appearance can be modified to meet a client’s desires. Clients first select the materials of the case and buckle, as well as the leather strap and its edging. They then choose their desired dial structure, the indices and hands, followed by the decoration of the case sides. Finally, the client decides on the colour of the sapphire crystals enclosing the movement. The combination of these different colours and textures serves to showcase the watch and give it as many different looks as there are keen clients. Illustrating three fundamental facets of the Parmigiani Fleurier brand, the watch represents the rich partnership with Bugatti with its distinctive looks, a relationship built on dialogue and creativity. Meanwhile, the modifications embody the potential of an independent manufacture and the exclusive added value of this centre of excellence. Lastly, with its extraordinary movement, it celebrates creativity in watchmaking, as the brand innovates and strays from the beaten path to surprise and amaze. The Choice of Malaysians: To Buy Or Rent A Home?